Pretty roses accent your wording on this response card. Your wording is printed in your choice of ink color and lettering styles. 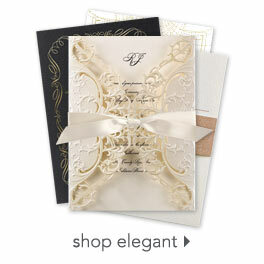 The design is printed in the same ink color you choose for your wording for a custom look. This product features thermography printing. Thermography is a unique printing technique that results in raised lettering you can feel, which adds to the luxurious experience of this printed piece. Includes envelopes.